We host Open House events on our campus in Galveston, Texas. School of Nursing faculty, staff, student ambassadors, and representatives from the Office of Enrollment Services participate to provide you with information about the entire process from obtaining your prerequisites through Commencement. We provide you with information about the entire process from obtaining your prerequisites through Commencement. Specific directions to our campus and the UTMB Public Parking Garages are as follows: Take I-45 South which becomes Broadway Avenue when you arrive in Galveston. Continue to travel Broadway turning left at the light at 14th Street. Harborside Parking Garage Proceed on 14th Street to Harborside Drive and turn right. A few blocks on the right will be the public parking structure (Parking Garage #2). Parking cost is the responsibility of attendees. Public Parking Garage(s) Near Hospital Entrances Proceed on 14th Street to Market Street and turn right. Several blocks ahead, turn left on University Boulevard. Public parking is available at the next intersection, Darrell Royal Avenue (Parking Garage #37). Parking cost is the responsibility of attendees. All Open House events will be held in the William C. Levin Hall building at 1006 Market St. Galveston, TX 77555. 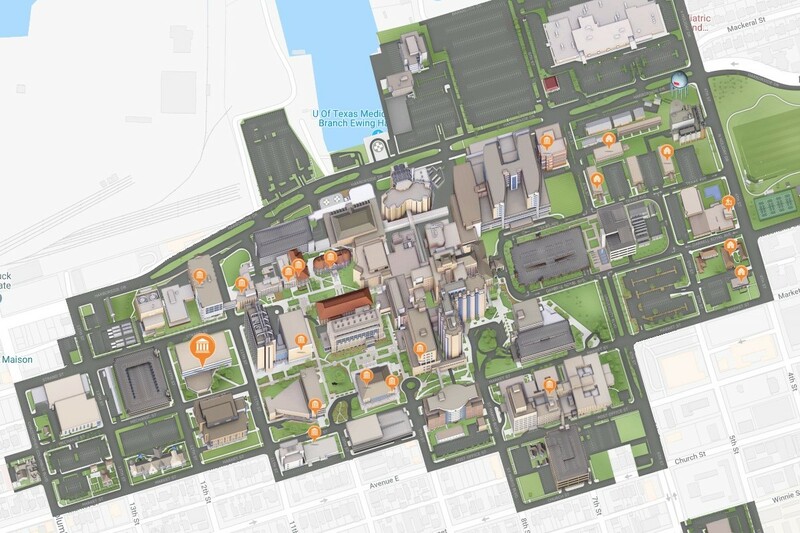 Use the campus map (linked above) for navigation. After parking, please allow for ten (10) minutes of walking time to reach Levin Hall.